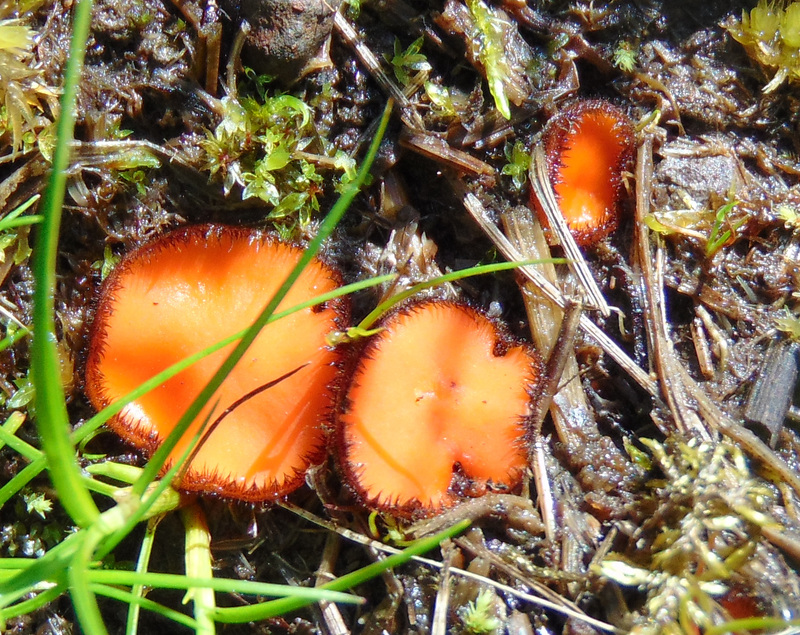 The two fungi I showed images of for NG64 on the mainland have been identified as the “magic mushroom” Psilocybe semilanceata and the waxcap Hygrocybe marchii. Bruce also managed to identify a further eight fungi from the infected leaf specimens I sent him including one that was the first for Wester Ross. So that was worth doing. 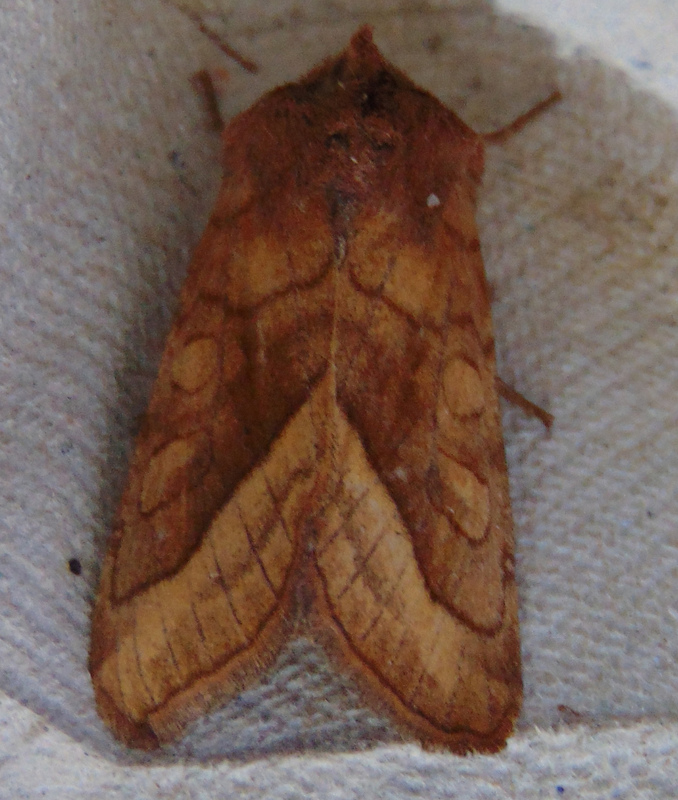 Two nights ago I put the moth trap out again and caught only three moths but one was Golden-rod Brindle, the third record for Raasay, the previous two being recorded at Holoman House by John Knowler in August/September 2014. Brian says there are no records for Skye, though NBN disagrees. Yesterday was an interesting day. I went first to check on some willows along the River Brogaig and confirmed Salix pentandra (Bay Willow) in large numbers, Salix x fruticosa (S. aurita (Eared Willow) x viminalis (Osier)) and its parents, though I suspect the two hybrid trees were planted. I also found some Salix x fragilis (Hybrid Crack-willow) and a single large mature specimen of Salix alba var. alba (White Willow). 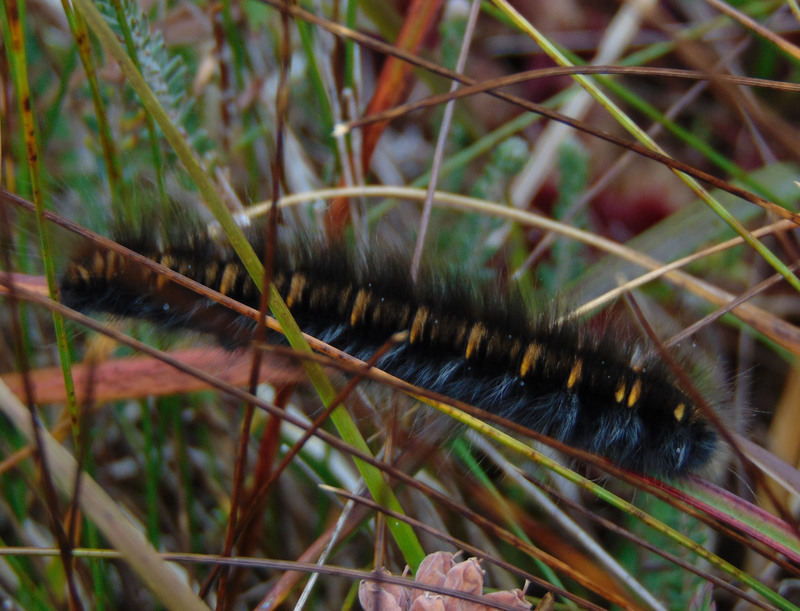 All of these except S. aurita will have been planted quite a while ago, but they are uncommon on Skye. 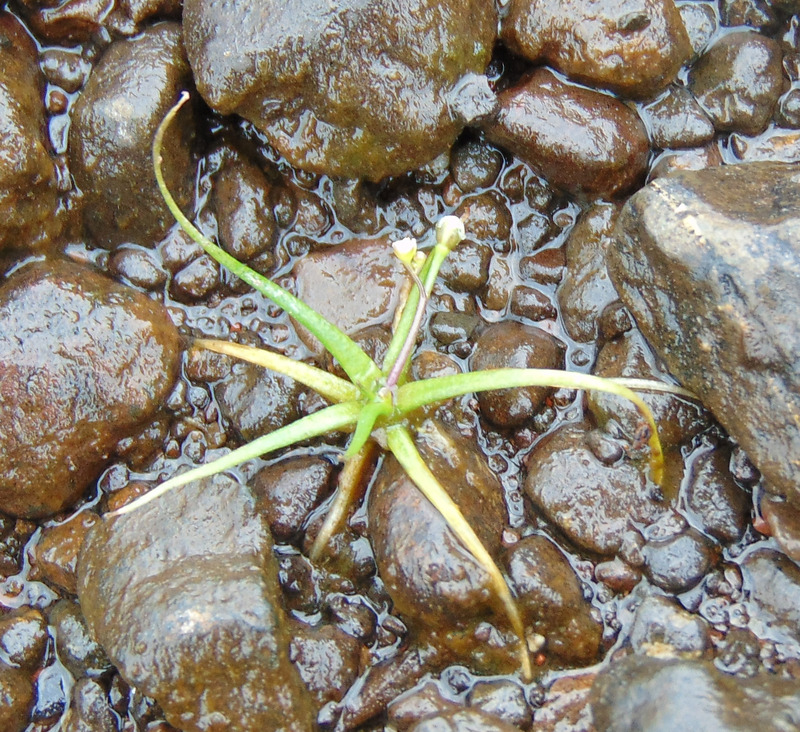 After that I headed for Loch Cleap to look for Elatine hexandra (Six-stamened Waterwort), recorded there in 1974, but without success. 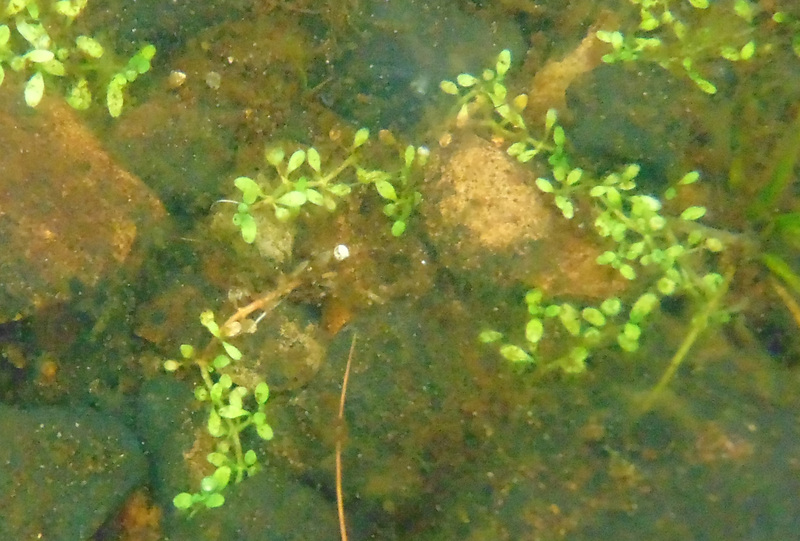 The wind was whipping up the water surface making it tricky to spot small water plants. 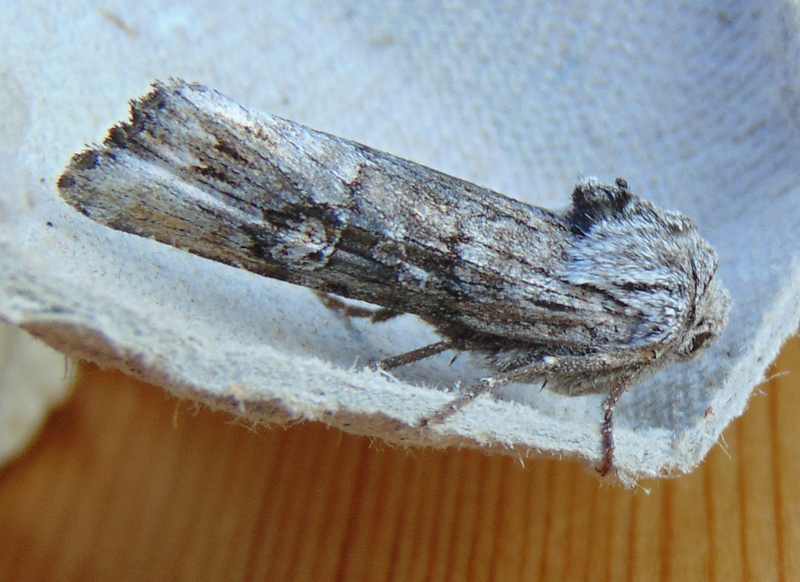 With this in mind I decided not to try the other two lochs I had planned but instead to head for a tetrad with no records, NG46X. 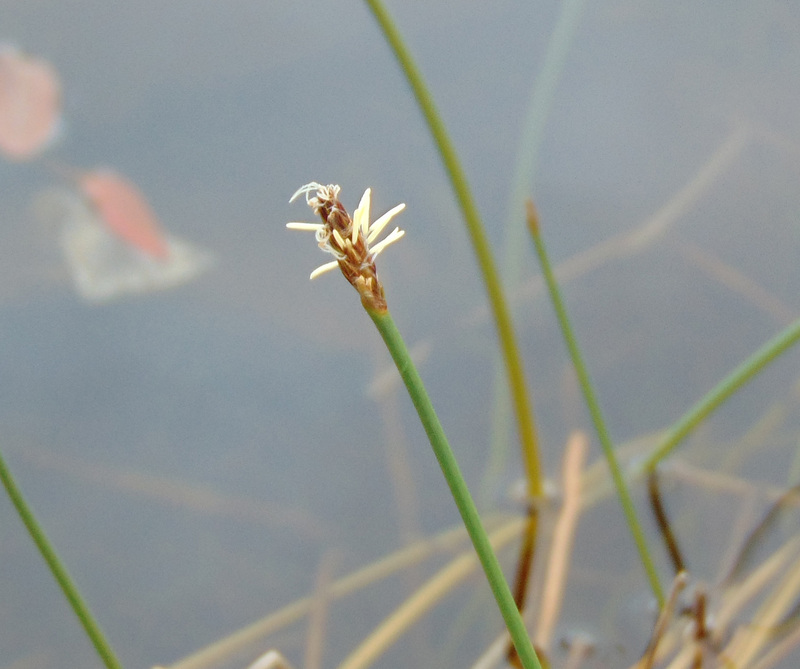 First however, I made a slight detour to Tobar Cleap and there in the spring (tobar) I found Carex paniculata (Greater Tussock-sedge), well to the north of previously known Skye sites. 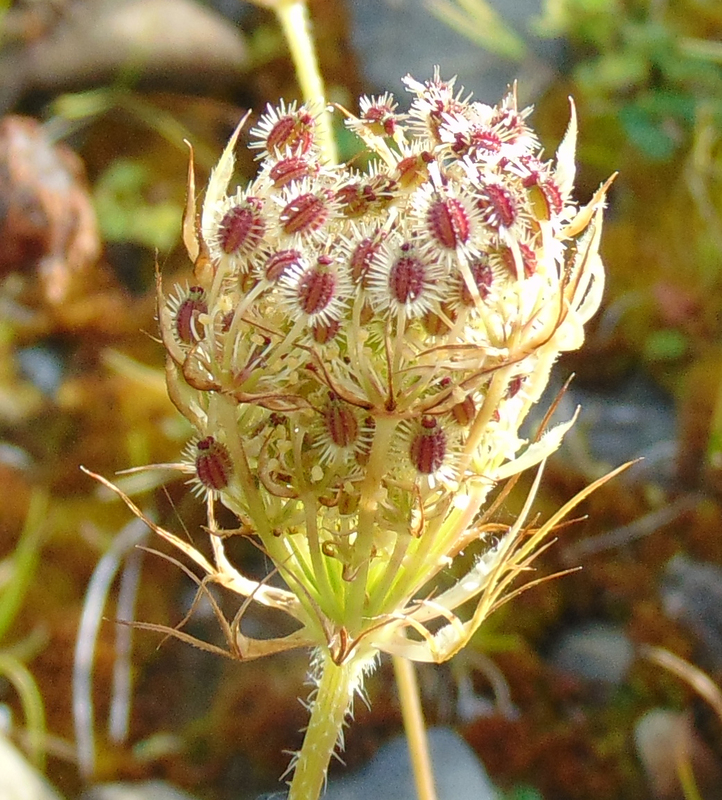 I spent a short time in NG46X along the Kilmartin River north of Maligar and recorded 108 taxa including Anagallis tenella (Bog Pimpernel) which was not previously known in Trotternish, and Sparganium erectum (Branched Bur-reed) in a tributary of the Kilmartin River. 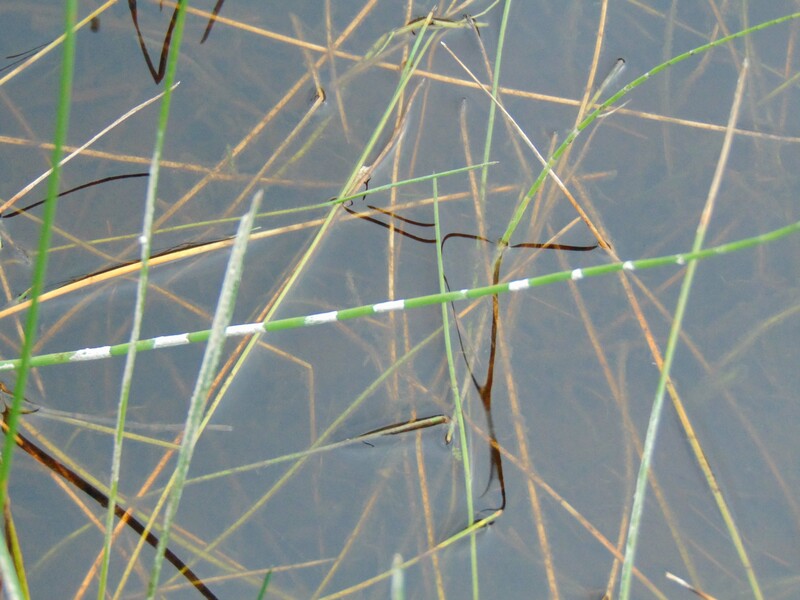 Equisetum fluviatile (Water Horsetail) with mildew – but only on alternate segments – trying to work out how that comes about…. Carl says “Are you sure the white is on alternate segments not just on the sheaths and running down a bit from them?” This is probably right – still looks odd! 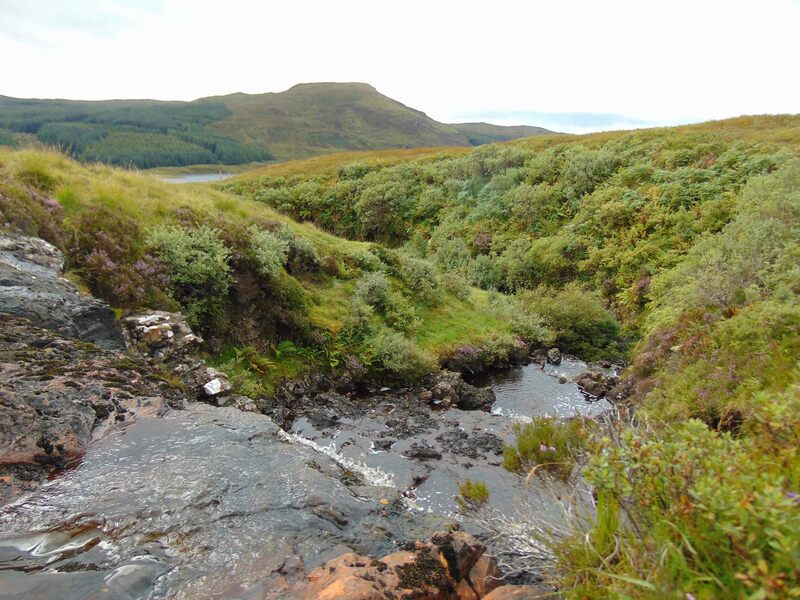 Last Friday the Skye Botany Group went to Loch Duagrich. Today I visited the parts we didn’t get to then. 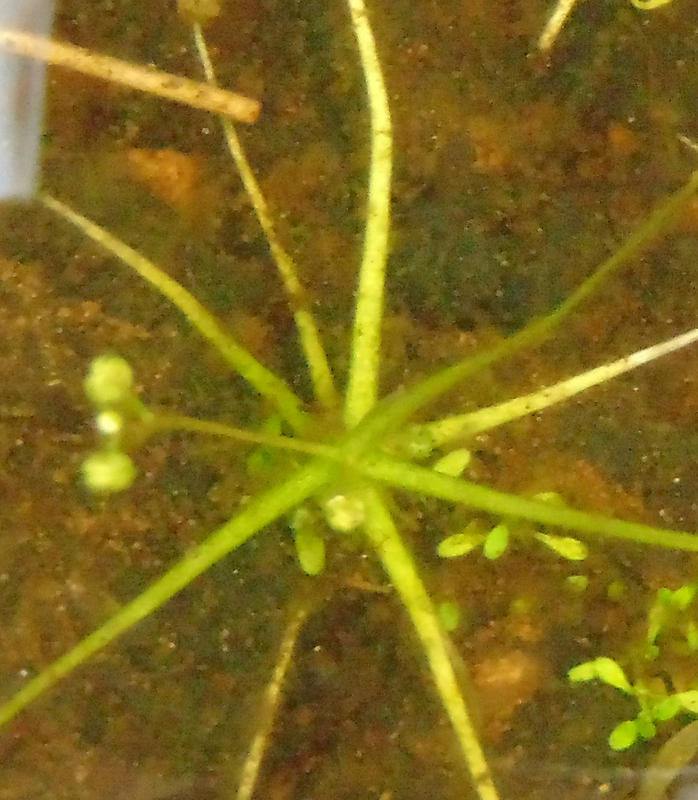 I now have recent records for Elatine hexandra (Six-stamened Waterwort) and Subularia aquatica (Awlwort) for all four tetrads (and all four 10 km squares) into which the loch extends. Two of the Elatine records are new hectad (10 km square) records. 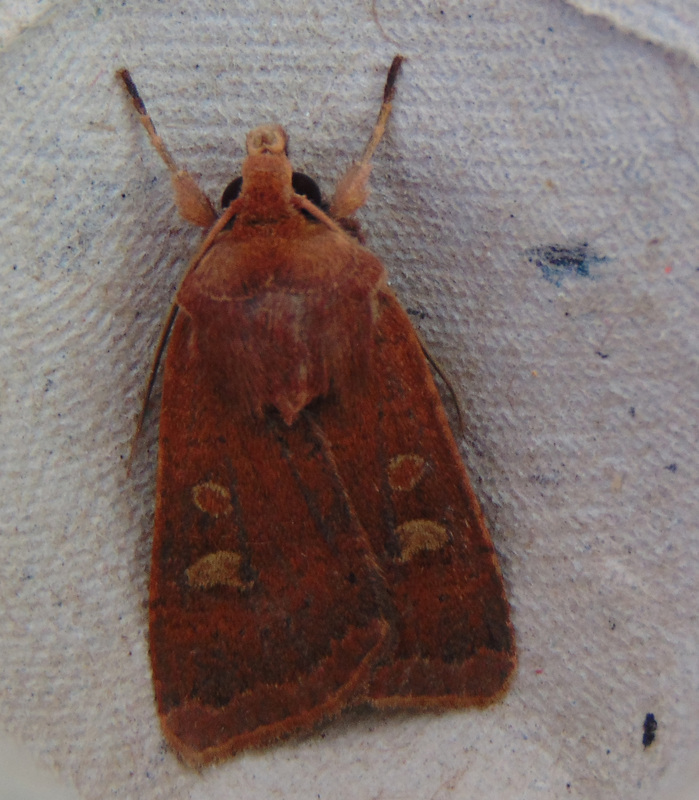 I have now seen Elatine in five 10 km squares (albeit four of them in the same loch) in five days. In all cases it has been with Subularia which, as Subularia is known in many more places than Elatine on Skye, suggests a strategy for finding more Elatine. I went up Braon a’ Mheallain in the faint hope of finding Sedum rosea (Roseroot), which has never been recorded in NG34, but without success. At 267 m this is almost the highest point in NG34 and there is not much by way of coastal cliffs either, so it may genuinely be absent. A bonus was a good patch of Centunculus minimus (Chaffweed) by the road in NG34V – a new hectad record. Apparently Keith has found out from genitalia examination that Lesser Common Rustic is more common at Portnalong than Common Rustic so they are now being recorded locally as Common Rustic agg. Nick tells me that he recorded 91 species of bryophyte from tetrad NG33Z, including ‘slender green feather moss’ Hamatocaulis vernicosus (Habitats Directive/Bern Convention/Schedule 8 species), and 88 from tetrad NG43E. 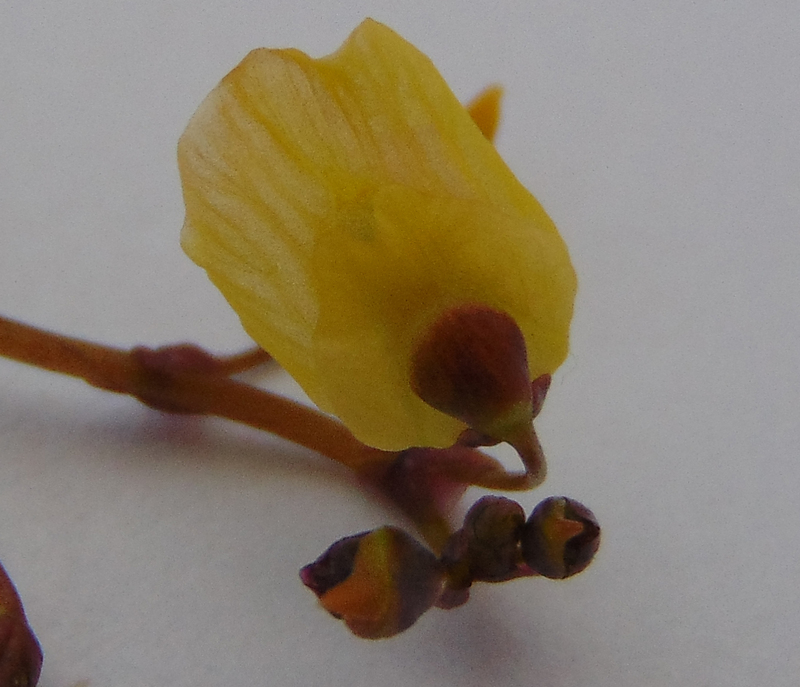 He was also heard on the day to remark that the Elatine really is very small – this from a bryologist! 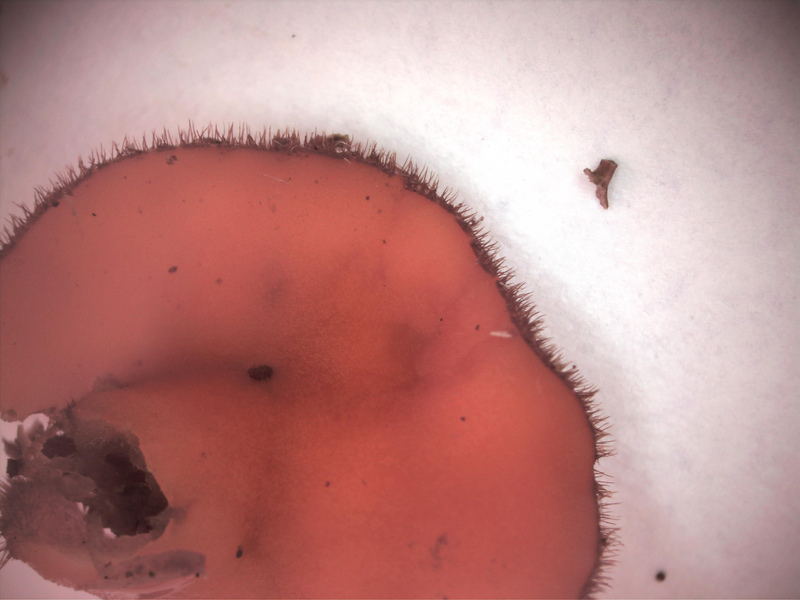 Dave Genney has asked to be sent my specimen of Eyelash Fungus to check which species it actually is, so it went in the post this morning. 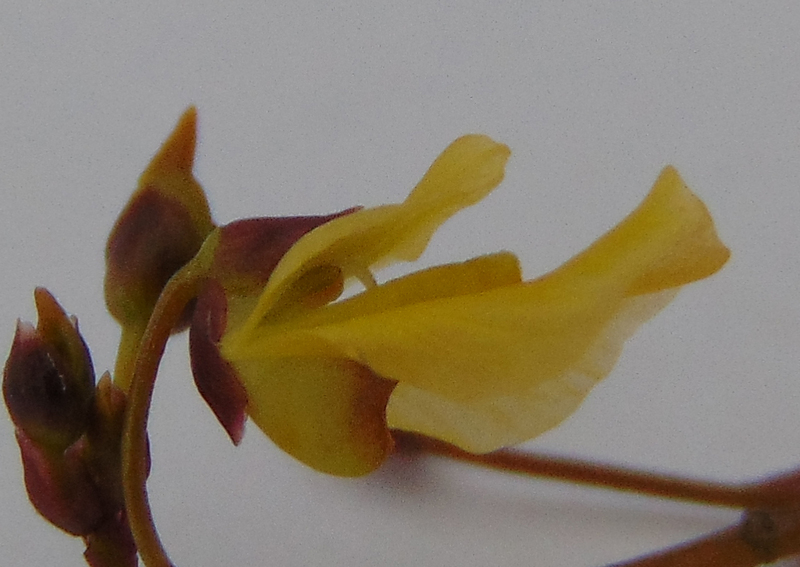 and quite a lot of Utricularia in flower, which despite the red colouration appears to be Utricularia minor (Lesser Bladderwort). 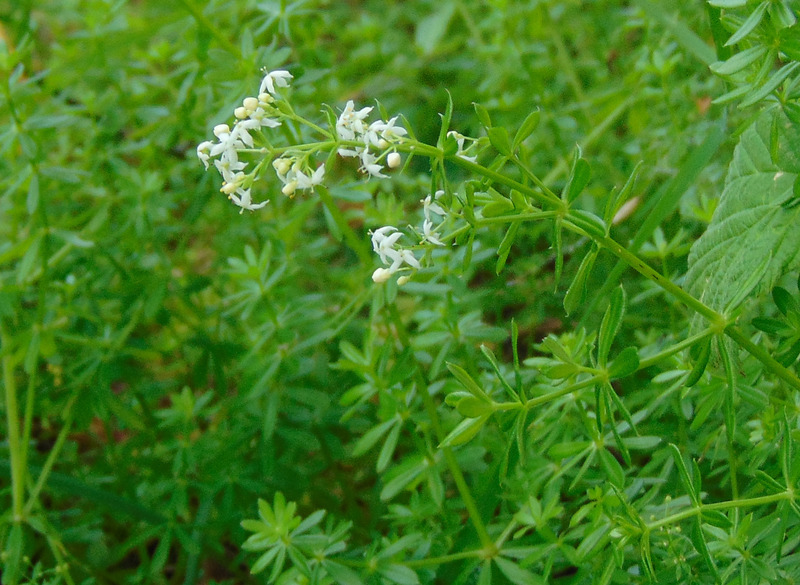 On the way home I stopped to see how Steve’s Galium album (Hedge Bedstraw) was getting on, the answer being fine – with flowers and fruit. 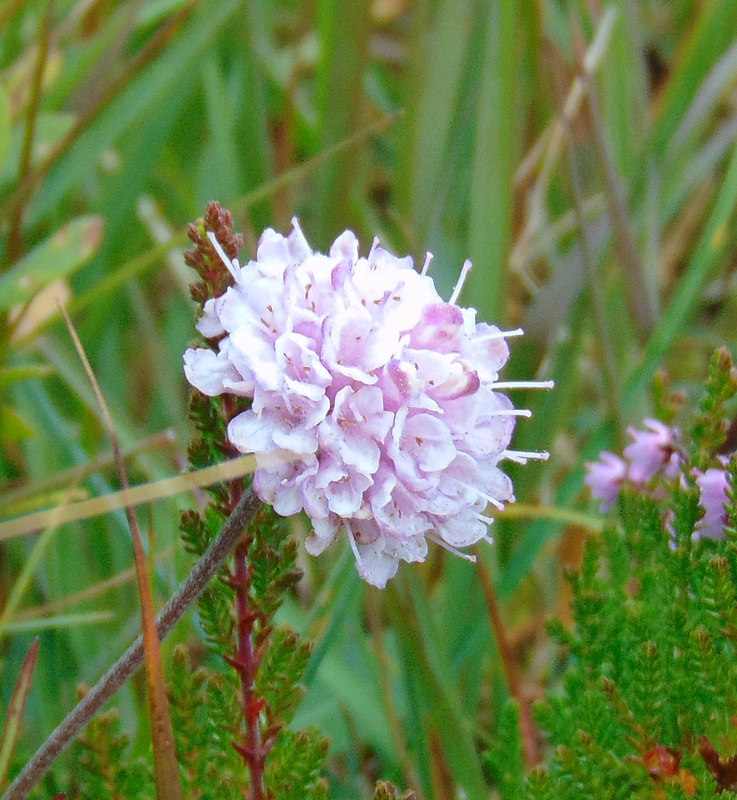 On Friday, The Skye Botany Group went to Loch Duagrich. Four 10 km squares meet in the middle of this loch giving lots of opportunities for useful recording. 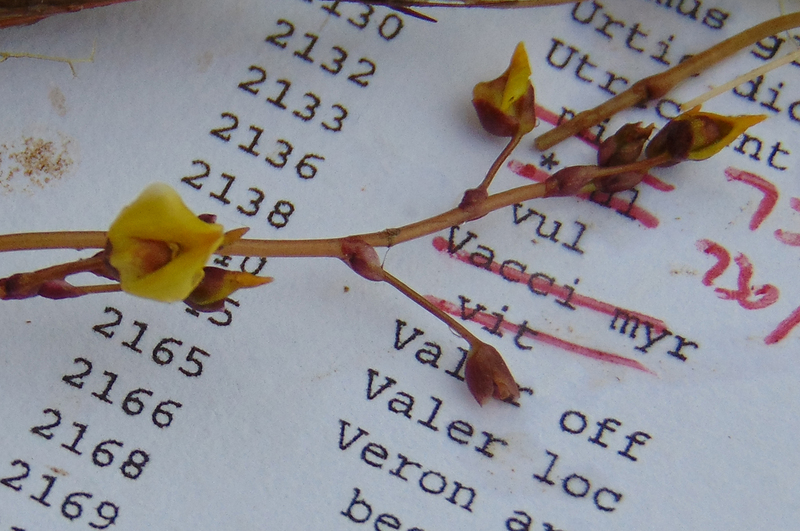 Nick was needing bryophyte records in tetrads NG33Z and NG43E, whilst I was keen to obtain the first post-1999 records in NG43E and NG44A and also to re-find some aquatics that had been recorded there before, notably Elatine hexandra (Six-stamened Waterwort) for which there were no post-1999 records on Skye. The eastern end of the loch was so good that it was well after lunch before we started to move on towards NG43 and we never got to NG44. There was plenty of the diminutive Elatine hexandra and with it there was Subularia aquatica (Awlwort). On Saturday I went to the three lochs one of which, but presumably not all three, is called Lochan na Saile, off the Broadford to Kylerhea road and found both these species again. 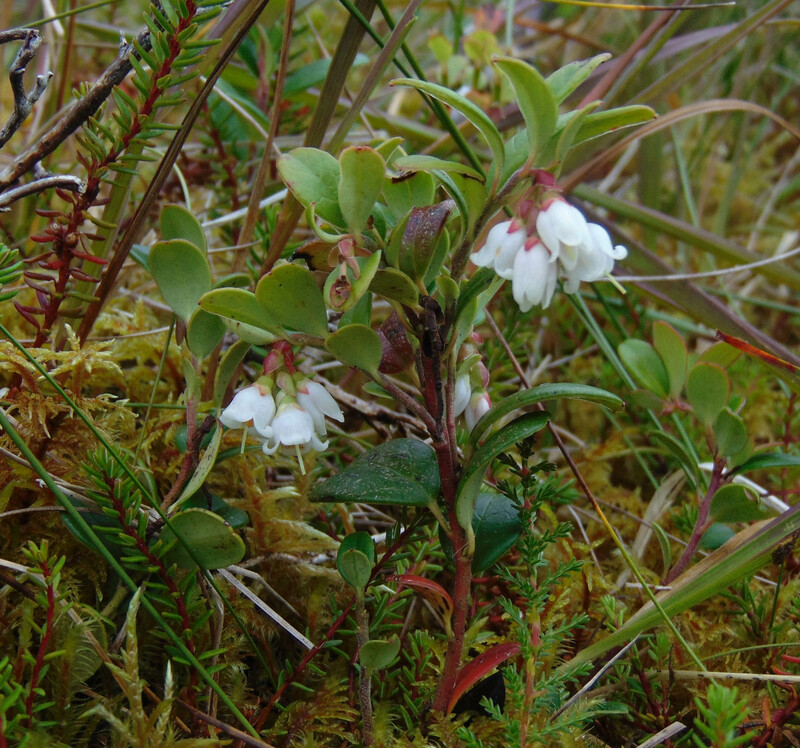 I circumnavigated all three lochs, a distance of a little over 4 km, and found two small patches of Subularia, one of which also had Elatine. 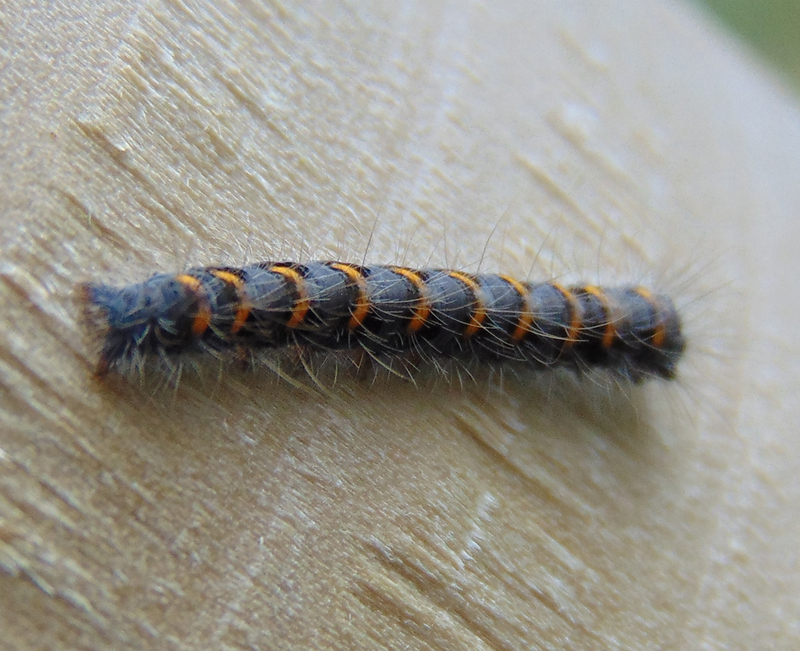 The NBN shows no records for this in VC104 but Richard Dennis in his Fungi of the Hebrides (1986) lists it for Skye. 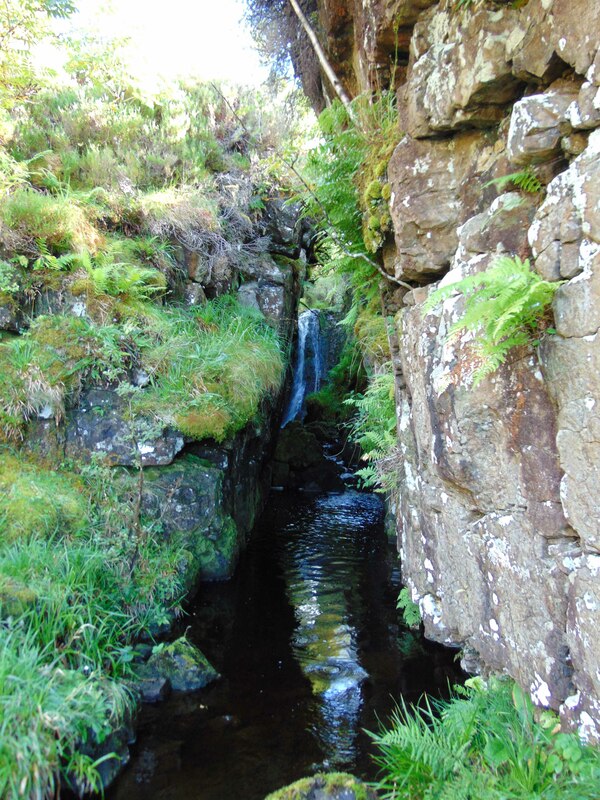 There is a 1988 record for Lycopodium clavatum (Stag’s-horn Clubmoss) “west of the Luidag burn” in NG43E which we didn’t re-find, but the gorge of this burn looks worth a return visit, perhaps when I pick up NG44A. John has found Raphanus raphanistrum subsp. 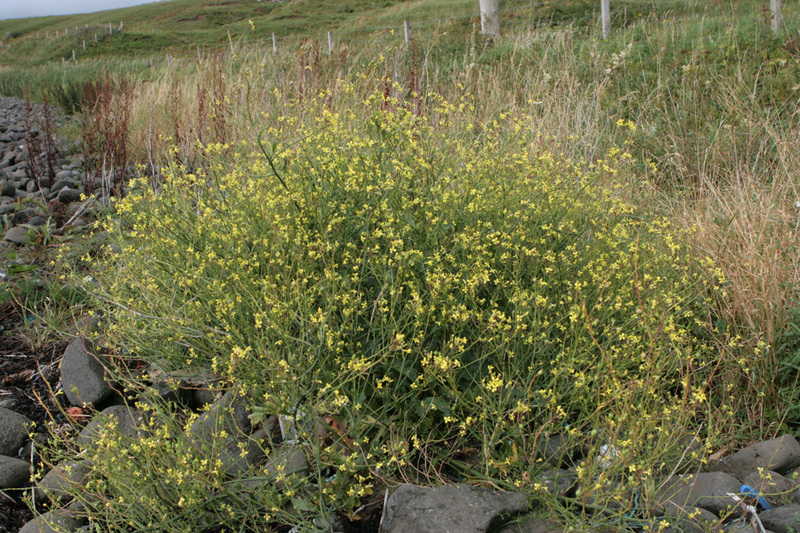 maritimus (Sea Radish) at Waternish. This is the first record for Skye. 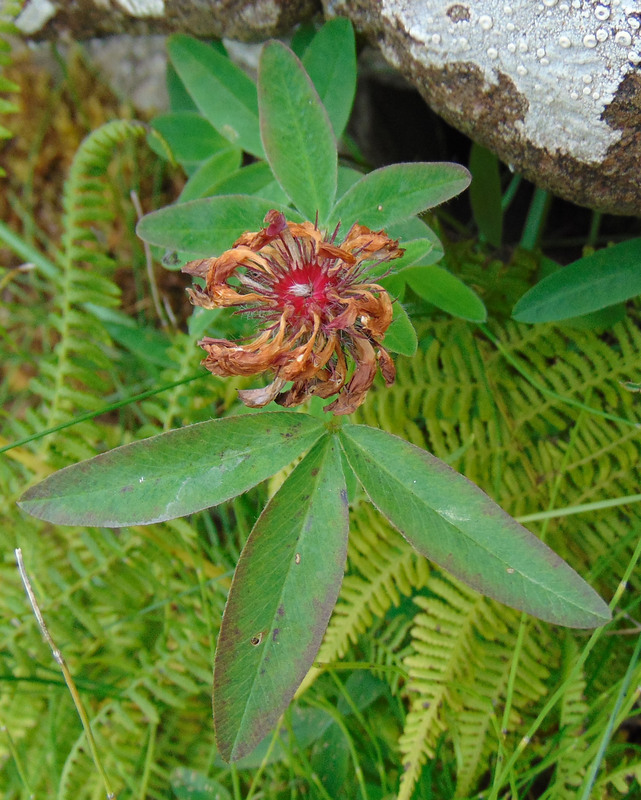 Readers may remember that I was very pleased to find this on Eigg in July where I said “I made a first record in the vice-county for Raphanus raphanistrum subsp. 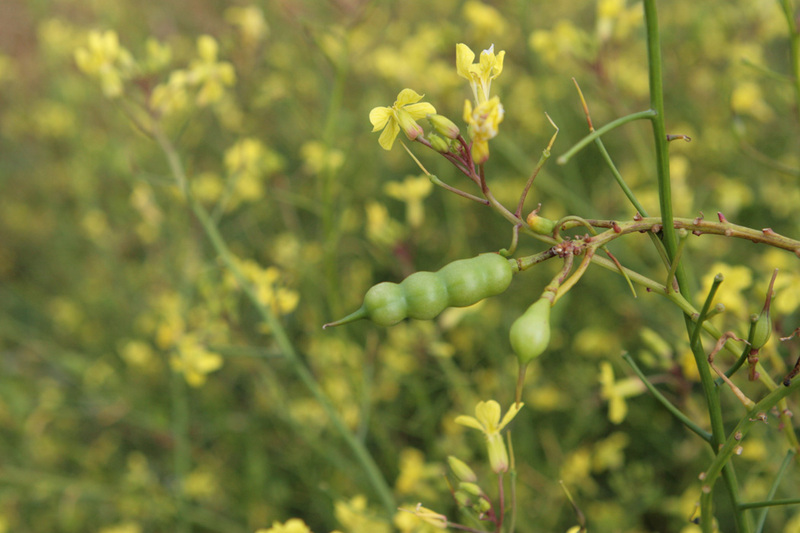 maritimus (Sea Radish) since 1801 – and in the same location!” In fact this turns out to be a bit more complicated. The old Eigg record is from “ON THE FLORA OF EIGG” by SYMERS M. MACVICAR published in The Annals of Scottish Natural History in 1897 and refers to visits made in 1893 and 1895. For some reason the database record gives the date of record as 1801-1900, and only the first date of a date range is visible unless one makes a special effort. In my view subsp. landra is pretty unlikely. 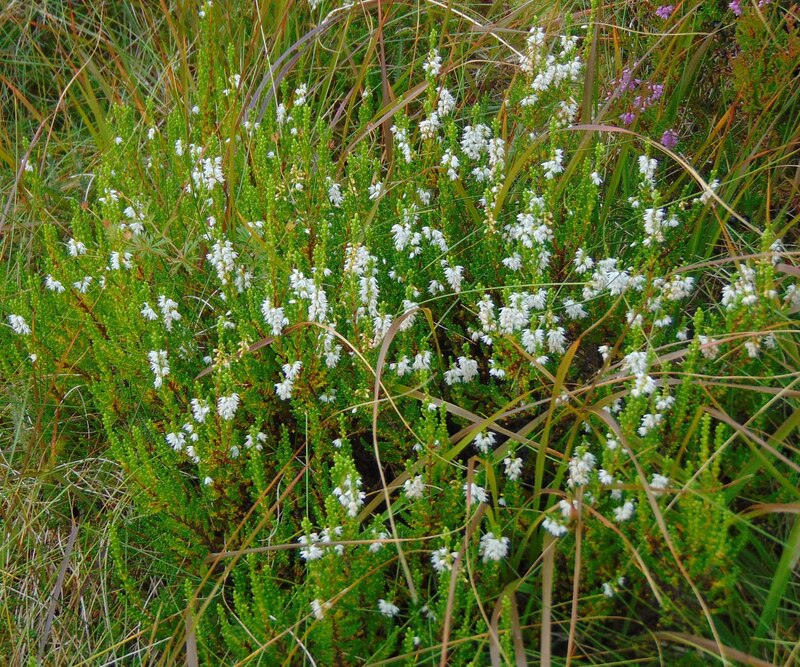 There are only two Scottish records for this Mediterranean plant, both near Edinburgh in 1866 and 1903. It is similar to subsp. maritimus and that seems far more likely. The other record is from Rum and appears to be from 1950-1969 in NG30 but there is no more information. Maybe it is spreading north? This Sexton Beetle is on the wall of my house this morning. 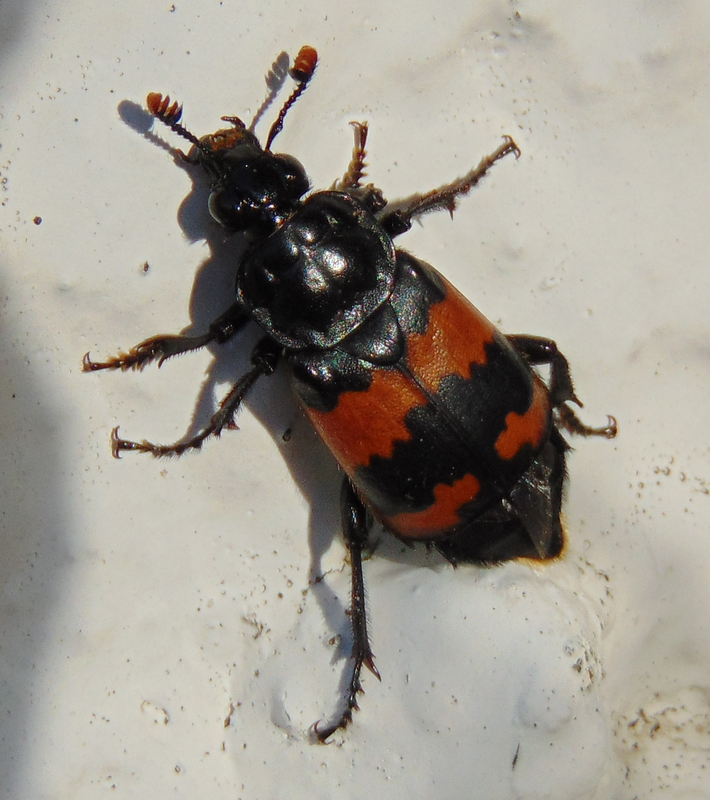 With the last three segments of the antennae clubs being reddish-yellow and the front coloured mark continuing without interruption across both elytra, this is Nicrophorus investigator. 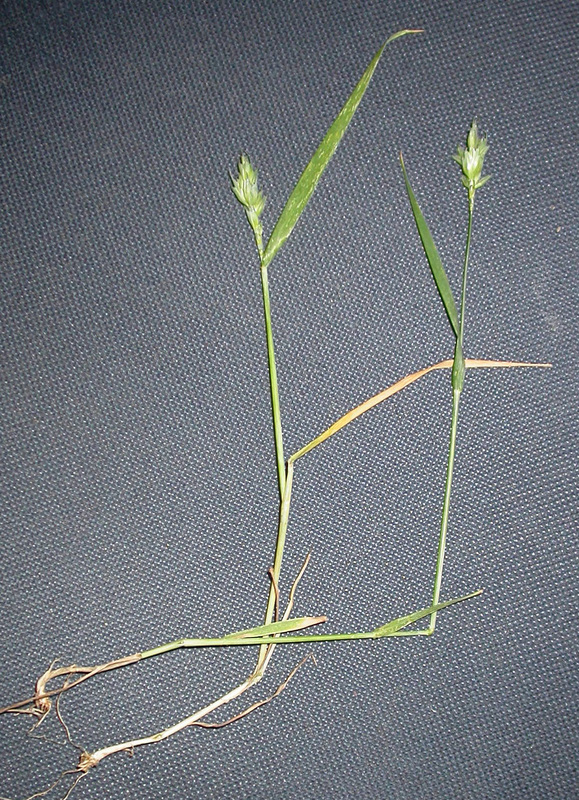 A grass spotted by Nick in Portree a few weeks ago turns out to be Triticum aestivum (Bread Wheat). This is the first VC record except for a reference in a 1964 paper about fungi on Rum which presumably referred to cultivated plants.